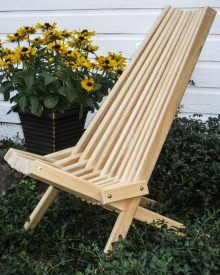 The traditional wooden Adirondack chair has been providing restful respites for families each summer for more than a century. 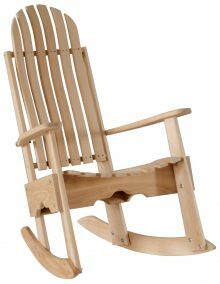 Popular around the country, they have their origins in the Northeast, where the first chairs were made for a country cottage in New York. These chairs can go just about anywhere in your yard. You can place them by a fire pit or in a circle around a garden. 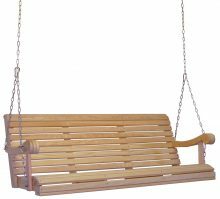 You can even add them to a porch or deck as the main seating or a complement to swings or rocking chairs. 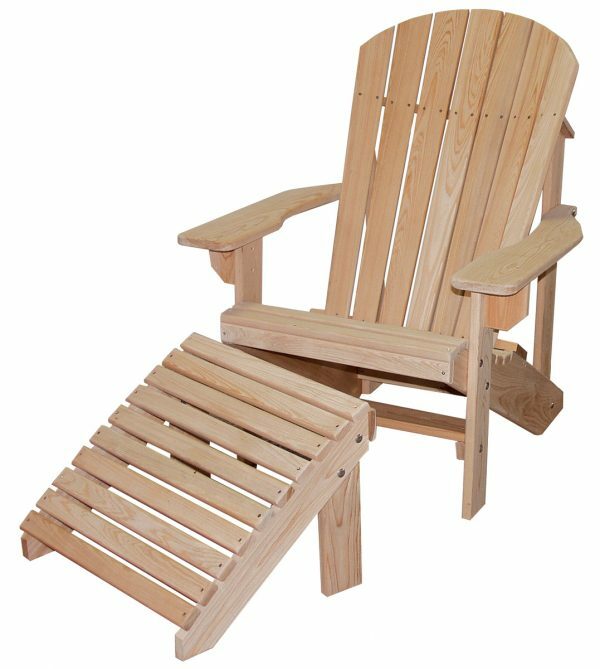 Our Cypress Adirondack Chair will transport you to another level of relaxation. 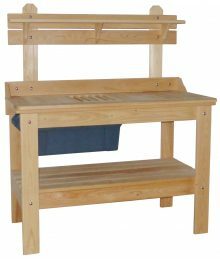 Made from sturdy cypress that naturally resists pests and decay, our chairs do not need to be pressure treated. That gives you a low-maintenance option for Adirondack chairs if you want them in wood. Our chairs come unfinished, so you can stain them to the hue that complements your outdoor décor. 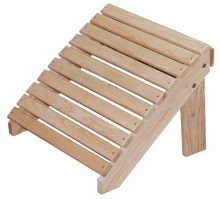 You can also buy our matching footrest separately. The Cypress Adirondack Chairs are in our line of Cypress Furniture, part of our outdoor collection. 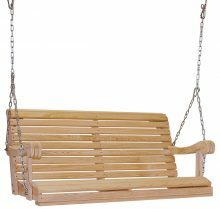 Each piece is constructed by Amish artisans, as are all of the pieces sold by AmishOutletStore.com. Our furniture is known for its sturdiness and durability, a credit to the fine materials employed by our furniture-makers. 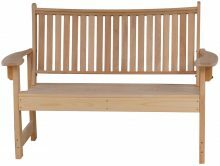 When you want outdoor furniture built to last through exposure to all the elements, you can find it at AmishOutletStore.com. Get more information on our pricing, which is up to 33 percent off every day, by checking out the monthly deals posted on our homepage. Then contact us to purchase your new Cypress Adirondack Chairs.